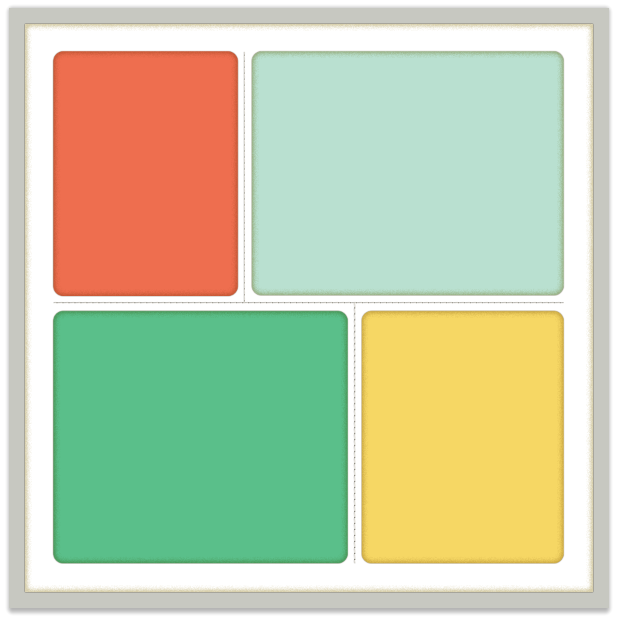 Today’s layouts showcase some new templates I’ve created that are great for larger pictures. 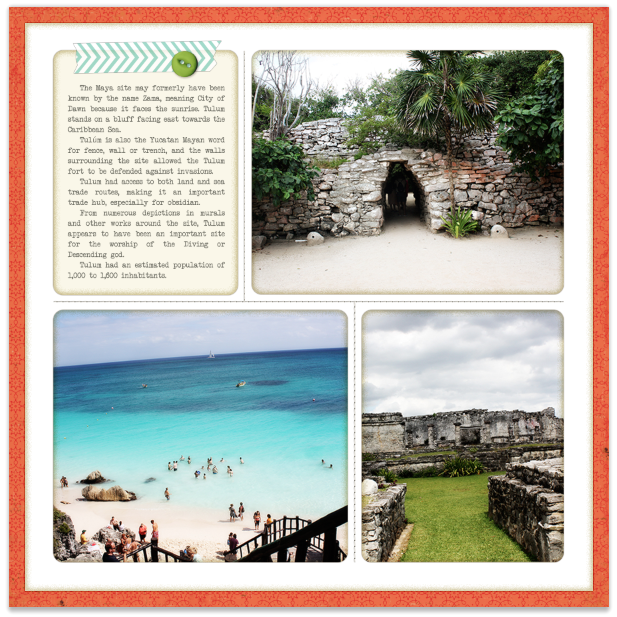 Tulum was so beautiful that I really wanted to showcase these photos. 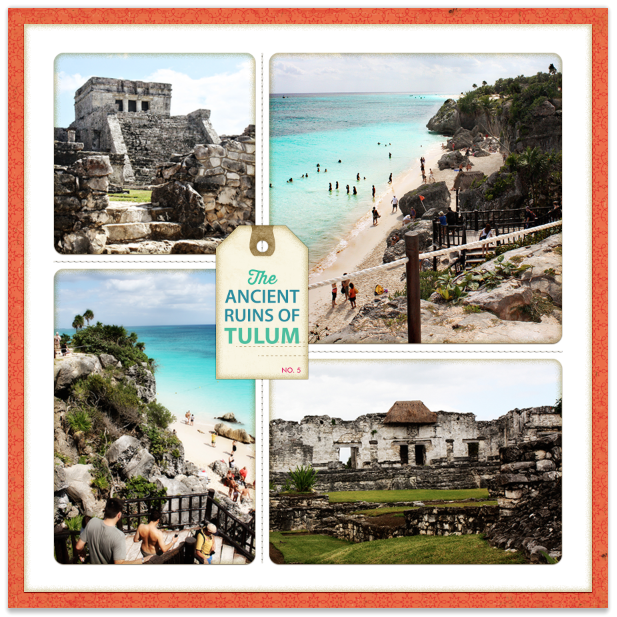 I’ve also included some information on the second layout that tells about the history of Tulum. This is a great way to quickly add journaling to your travel layouts & it’s educational for anyone who’s flipping through your scrapbook. If you don’t know a lot about the area off the top of your head, all you have to do is google it (make sure it’s a reliable source). Copy the info from the website, paste it into your layout, & you’re done! Tag on Top Layout: Crate Paper’s MAGGIE HOLMES Collection. The tape & button will be available in an upcoming kit from me. 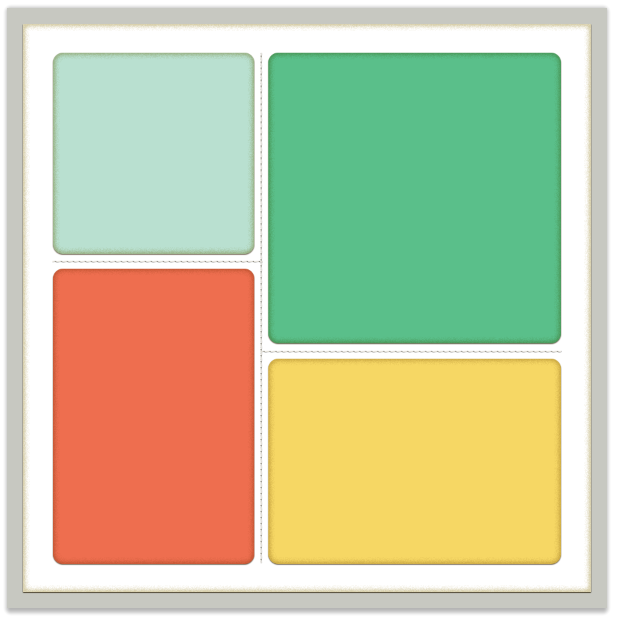 Today’s layouts were created using the templates below. You can purchase them on Friday HERE.